Annie got up already at 3.30 in the morning, this means she had not many hours to sleep. The fever had gone down, but she was still quite weak and somewhat dizzy. She got on the bike and headed to the start of today’s stage, a long one – connection 270 km and the special 508 km. 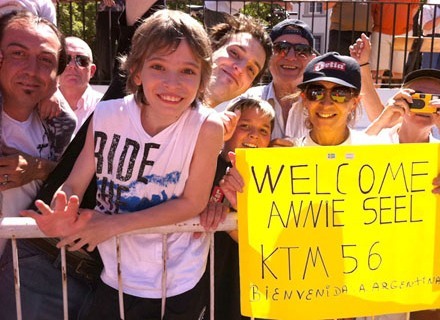 Again very tough tracks, but Annie made it to the 54th position. That is remarkable considering she is not fully recovered. She was of course very tired. Also she must go visit the dictor again. Annie vaknade upp tidigt i morse 3.30, så det blev inte mycket till sömn. Febern hade gått ner men hon var rätt svag och lite dåsig. Hon ga sig iväg mot starten i dagens långa etapp – transport 270 km och 508 km special. 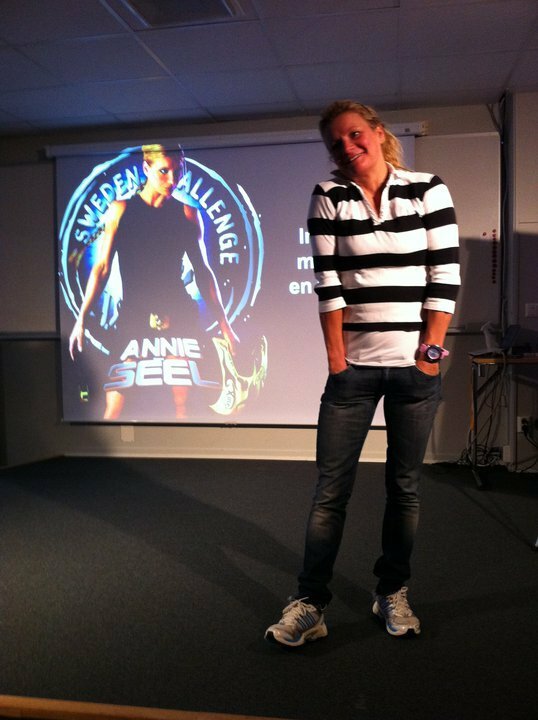 Åter svåra sträckor, men Annie klarade 54e plats. Det är anmärkningsvärt då hon ännu inte återhämtat sig. Hon var förstås väldigt trött, och måste besöka läkaren igen för kontroll. 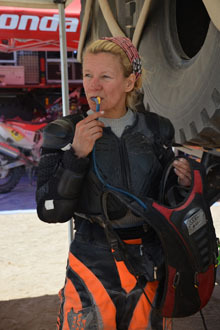 This entry was posted in 2011, Dakar, Health, Tough challenge and tagged 2011, Annie Seel, Dakar, Health, rally. Stage 7 became a night mare. Annie used her last powers to ride to the bivouaq. She had high fever and her stomache felt really bad. She has now a medical dropper and gets antibiotics for the food poisoning. The doctors will decide in the morning if she can go on with the race. 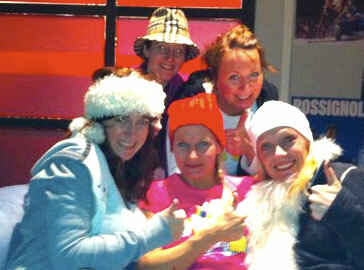 Many other participants also got food poisoned, all from the dakar catering. How is this kind of safety? Another problem this day was that the clutch broke already in the beginnig of the stage. 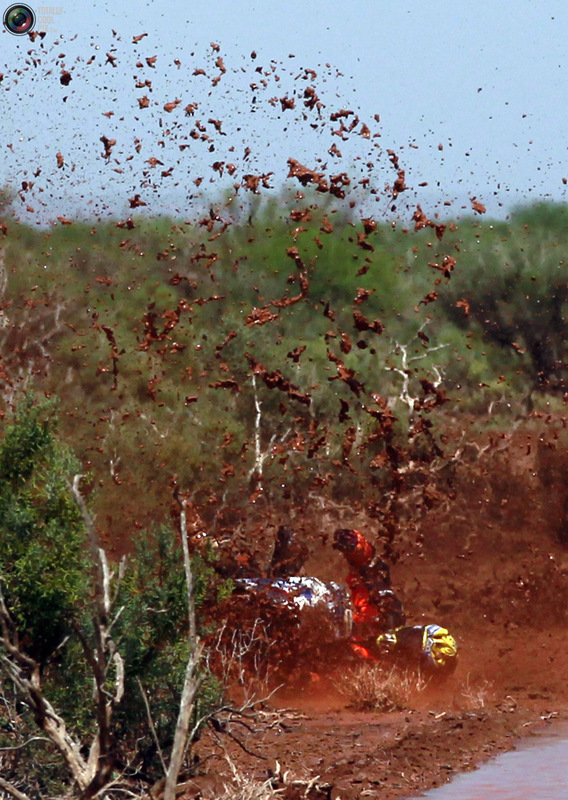 Riding in the difficult terrain without a clutch made the strain even worse. No wonder she lost much time. She finished the stage as number 90, last lady this time. Tina Meier followed Annie on the connection to the bivouac where she went to the doctor. One good thing was that this stage’s specials were shortened by a half. There were two of them planned, in total some 600 km, but only one part of 273 km was run. This because many contestants had arrived very late from the 6th stage before rest day that they there was not much time for rest at all. 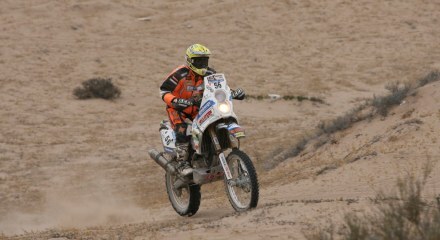 This entry was posted in 2011, Dakar, Health, Rally and tagged 2011, Annie Seel, Dakar, Health, rally.